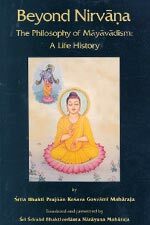 In this chapter, the Supreme Personality explains what those modes of nature are, how they act, how they bind and how they give liberation. By understanding this knowledge, various great sages attained perfection and transferred to the spiritual world. This knowledge is far, far superior to all other processes of knowledge thus far explained, and knowing this many attained perfection. Thus it is expected that one who understands this Fourteenth Chapter will attain perfection. sri-bhagavan uvaca—the Supreme Personality of Godhead said; param—transcendental; bhuyah—again; pravakshyami—I shall speak; jnananam—of all knowledge; jnanam—knowledge; uttamam—the supreme; yat—which; jnatva—knowing; munayah—the sages; sarve—all; param—transcendental; siddhim—perfection; itah—from this world; gatah—attained. idam—this; jnanam—knowledge; upasritya—taking shelter of; mama—My; sadharmyam—same nature; agatah—having attained; sarge api—even in the creation; na—never; upajayante—are born; pralaye—in the annihilation; na—nor; vyathanti—are disturbed; ca—also. mama—My; yonih—source of birth; mahat—the total material existence; brahma—supreme; tasmin—in that; garbham—pregnancy; dadhami—create; aham—I; sambhavah—the possibility; sarva-bhutanam—of all living entities; tatah—thereafter; bhavati—becomes; bharata—O son of Bharata. This is an explanation of the world: everything that takes place is due to the combination of kshetra and kshetra-jna, the body and the spirit soul. This combination of material nature and the living entity is made possible by the Supreme God Himself. The mahat-tattva is the total cause of the total cosmic manifestation; and that total substance of the material cause, in which there are three modes of nature, is sometimes called Brahman. The Supreme Personality impregnates that total substance, and thus innumerable universes become possible. This total material substance, the mahat-tattva, is described as Brahman in the Vedic literature (Mundaka Upanishad 1.1.9): tasmad etad brahma nama-rupam annam ca jayate. The Supreme Person impregnates that Brahman with the seeds of the living entities. The twenty-four elements, beginning from earth, water, fire and air, are all material energy, and they constitute what is called mahad brahma, or the great Brahman, the material nature. As explained in the Seventh Chapter, beyond this there is another, superior nature—the living entity. Into material nature the superior nature is mixed by the will of the Supreme Personality of Godhead, and thereafter all living entities are born of this material nature. sarva-yonishu—in all species of life; kaunteya—O son of Kunti; murtayah—forms; sambhavanti—they appear; yah—which; tasam—of all of them; brahma—the supreme; mahat yonih—source of birth in the material substance; aham—I; bija-pradah—the seed-giving; pita—father. sattvam—the mode of goodness; rajah—the mode of passion; tamah—the mode of ignorance; iti—thus; gunah—the qualities; prakriti—material nature; sambhavah—produced of; nibadhnanti—do condition; maha-baho—O mighty-armed one; dehe—in this body; dehinam—the living entity; avyayam—eternal. tatra—there; sattvam—the mode of goodness; nirmalatvat—being purest in the material world; prakasakam—illuminating; anamayam—without any sinful reaction; sukha—with happiness; sangena—by association; badhnati—conditions; jnana—with knowledge; sangena—by association; ca—also; anagha—O sinless one. rajah—the mode of passion; raga-atmakam—born of desire or lust; viddhi—know; trishna—with hankering; sanga—association; samudbhavam—produced of; tat—that; nibadhnati—binds; kaunteya—O son of Kunti; karma-sangena—by association with fruitive activity; dehinam—the embodied. tamah—the mode of ignorance; tu—but; ajnana-jam—produced of ignorance; viddhi—know; mohanam—the delusion; sarva-dehinam—of all embodied beings; pramada—with madness; alasya—indolence; nidrabhih—and sleep; tat—that; nibadhnati—binds; bharata—O son of Bharata. sattvam—the mode of goodness; sukhe—in happiness; sanjayati—binds; rajah—the mode of passion; karmani—in fruitive activity; bharata—O son of Bharata; jnanam—knowledge; avritya—covering; tu—but; tamah—the mode of ignorance; pramade—in madness; sanjayati—binds; uta—it is said. O son of Bharata, the mode of goodness conditions one to happiness; passion conditions one to fruitive action; and ignorance, covering one's knowledge, binds one to madness. sarva-dvareshu—in all the gates; dehe asmin—in this body; prakasah—the quality of illumination; upajayate—develops; jnanam—knowledge; yada—when; tada—at that time; vidyat—know; vivriddham—increased; sattvam—the mode of goodness; iti uta—thus it is said. lobhah—greed; pravrittih—activity; arambhah—endeavor; karmanam—in activities; asamah—uncontrollable; spriha—desire; rajasi—of the mode of passion; etani—all these; jayante—develop; vivriddhe—when there is an excess; bharata-rishabha—O chief of the descendants of Bharata. O chief of the Bharatas, when there is an increase in the mode of passion the symptoms of great attachment, fruitive activity, intense endeavor, and uncontrollable desire and hankering develop. aprakasah—darkness; apravrittih—inactivity; ca—and; pramadah—madness; mohah—illusion; eva—certainly; ca—also; tamasi—the mode of ignorance; etani—these; jayante—are manifested; vivriddhe—when developed; kuru-nandana—O son of Kuru. yada—when; sattve—the mode of goodness; pravriddhe—developed; tu—but; pralayam—dissolution; yati—goes; deha-bhrit—the embodied; tada—at that time; uttama-vidam—of the great sages; lokan—the planets; amalan—pure; pratipadyate—attains. One in goodness attains higher planetary systems, like Brahmaloka or Janaloka, and there enjoys godly happiness. The word amalan is significant; it means "free from the modes of passion and ignorance." There are impurities in the material world, but the mode of goodness is the purest form of existence in the material world. There are different kinds of planets for different kinds of living entities. Those who die in the mode of goodness are elevated to the planets where great sages and great devotees live. rajasi—in passion; pralayam—dissolution; gatva—attaining; karma-sangishu—in the association of those engaged in fruitive activities; jayate—takes birth; tatha—similarly; pralinah—being dissolved; tamasi—in ignorance; mudha-yonishu—in animal species; jayate—takes birth. karmanah—of work; su-kritasya—pious; ahuh—is said; sattvikam—in the mode of goodness; nirmalam—purified; phalam—the result; rajasah—of the mode of passion; tu—but; phalam—the result; duhkham—misery; ajnanam—nonsense; tamasah—of the mode of ignorance; phalam—the result. The result of pious activities in the mode of goodness is pure. Therefore the sages, who are free from all illusion, are situated in happiness. But activities in the mode of passion are simply miserable. Any activity for material happiness is bound to be defeated. If, for example, one wants to have a skyscraper, so much human misery has to be undergone before a big skyscraper can be built. The financier has to take much trouble to earn a mass of wealth, and those who are slaving to construct the building have to render physical toil. The miseries are there. Thus Bhagavad-gita says that in any activity performed under the spell of the mode of passion, there is definitely great misery. There may be a little so-called mental happiness—"I have this house or this money"—but this is not actual happiness. sattvat—from the mode of goodness; sanjayate—develops; jnanam—knowledge; rajasah—from the mode of passion; lobhah—greed; eva—certainly; ca—also; pramada—madness; mohau—and illusion; tamasah—from the mode of ignorance; bhavatah—develop; ajnanam—nonsense; eva—certainly; ca—also. urdhvam—upwards; gacchanti—go; sattva-sthah—those situated in the mode of goodness; madhye—in the middle; tishthanti—dwell; rajasah—those situated in the mode of passion; jaghanya—of abominable; guna—quality; vritti-sthah—whose occupation; adhah—down; gacchanti—go; tamasah—persons in the mode of ignorance. In this verse the results of actions in the three modes of nature are more explicitly set forth. There is an upper planetary system, consisting of the heavenly planets, where everyone is highly elevated. According to the degree of development of the mode of goodness, the living entity can be transferred to various planets in this system. The highest planet is Satyaloka, or Brahmaloka, where the prime person of this universe, Lord Brahma, resides. We have seen already that we can hardly calculate the wondrous condition of life in Brahmaloka, but the highest condition of life, the mode of goodness, can bring us to this. The mode of passion is mixed. It is in the middle, between the modes of goodness and ignorance. A person is not always pure, but even if he should be purely in the mode of passion, he will simply remain on this earth as a king or a rich man. But because there are mixtures, one can also go down. People on this earth, in the mode of passion or ignorance, cannot forcibly approach the higher planets by machine. In the mode of passion, there is also the chance of becoming mad in the next life. The lowest quality, the mode of ignorance, is described here as abominable. The result of developing ignorance is very, very risky. It is the lowest quality in material nature. Beneath the human level there are eight million species of life—birds, beasts, reptiles, trees, etc.—and according to the development of the mode of ignorance, people are brought down to these abominable conditions. The word tamasah is very significant here. Tamasah indicates those who stay continuously in the mode of ignorance without rising to a higher mode. Their future is very dark. na—no; anyam—other; gunebhyah—than the qualities; kartaram—performer; yada—when; drashta—a seer; anupasyati—sees properly; gunebhyah—to the modes of nature; ca—and; param—transcendental; vetti—knows; mat-bhavam—to My spiritual nature; sah—he; adhigacchati—is promoted. gunan—qualities; etan—all these; atitya—transcending; trin—three; dehi—the embodied; deha—the body; samudbhavan—produced of; janma—of birth; mrityu—death; jara—and old age; duhkhaih—the distresses; vimuktah—being freed from; amritam—nectar; asnute—he enjoys. arjunah uvaca—Arjuna said; kaih—by which; lingaih—symptoms; trin—three; gunan—qualities; etan—all these; atitah—having transcended; bhavati—is; prabho—O my Lord; kim—what; acarah—behavior; katham—how; ca—also; etan—these; trin—three; gunan—qualities; ativartate—transcends. sri-bhagavan uvaca—the Supreme Personality of Godhead said; prakasam—illumination; ca—and; pravrittim—attachment; ca—and; moham—illusion; eva ca—also; pandava—O son of Pandu; na dveshti—does not hate; sampravrittani—although developed; na nivrittani—nor stopping development; kankshati—desires; udasina-vat—as if neutral; asinah—situated; gunaih—by the qualities; yah—one who; na—never; vicalyate—is agitated; gunah—the qualities; vartante—are acting; iti evam—knowing thus; yah—one who; avatishthati—remains; na—never; ingate—flickers; sama—equal; duhkha—in distress; sukhah—and happiness; sva-sthah—being situated in himself; sama—equally; loshta—a lump of earth; asma—stone; kancanah—gold; tulya—equally disposed; priya—to the dear; apriyah—and the undesirable; dhirah—steady; tulya—equal; ninda—in defamation; atma—samstutih—and praise of himself; mana—in honor; apamanayoh—and dishonor; tulyah—equal; tulyah—equal; mitra—of friends; ari—and enemies; pakshayoh—to the parties; sarva—of all; arambha—endeavors; parityagi—renouncer; guna-atitah—transcendental to the material modes of nature; sah—he; ucyate—is said to be. Arjuna submitted three different questions, and the Lord answers them one after another. In these verses, Krishna first indicates that a person transcendentally situated has no envy and does not hanker for anything. When a living entity stays in this material world embodied by the material body, it is to be understood that he is under the control of one of the three modes of material nature. When he is actually out of the body, then he is out of the clutches of the material modes of nature. But as long as he is not out of the material body, he should be neutral. He should engage himself in the devotional service of the Lord so that his identity with the material body will automatically be forgotten. When one is conscious of the material body, he acts only for sense gratification, but when one transfers the consciousness to Krishna, sense gratification automatically stops. One does not need this material body, and he does not need to accept the dictations of the material body. The qualities of the material modes in the body will act, but as spirit soul the self is aloof from such activities. How does he become aloof? He does not desire to enjoy the body, nor does he desire to get out of it. Thus transcendentally situated, the devotee becomes automatically free. He need not try to become free from the influence of the modes of material nature. mam—unto Me; ca—also; yah—a person who; avyabhicarena—without fail; bhakti-yogena—by devotional service; sevate—renders service; sah—he; gunan—the modes of material nature; samatitya—transcending; etan—all these; brahma-bhuyaya—elevated to the Brahman platform; kalpate—becomes. brahmanah—of the impersonal brahmajyoti; hi—certainly; pratishtha—the rest; aham—I am; amritasya—of the immortal; avyayasya—of the imperishable; ca—also; sasvatasya—of the eternal; ca—and; dharmasya—of the constitutional position; sukhasya—of happiness; aikantikasya—ultimate; ca—also. The constitution of Brahman is immortality, imperishability, eternity, and happiness. Brahman is the beginning of transcendental realization. Paramatma, the Supersoul, is the middle, the second stage in transcendental realization, and the Supreme Personality of Godhead is the ultimate realization of the Absolute Truth. Therefore, both Paramatma and the impersonal Brahman are within the Supreme Person. It is explained in the Seventh Chapter that material nature is the manifestation of the inferior energy of the Supreme Lord. The Lord impregnates the inferior, material nature with fragments of the superior nature, and that is the spiritual touch in the material nature. When a living entity conditioned by this material nature begins the cultivation of spiritual knowledge, he elevates himself from the position of material existence and gradually rises up to the Brahman conception of the Supreme. This attainment of the Brahman conception of life is the first stage in self-realization. At this stage the Brahman-realized person is transcendental to the material position, but he is not actually perfect in Brahman realization. If he wants, he can continue to stay in the Brahman position and then gradually rise up to Paramatma realization and then to the realization of the Supreme Personality of Godhead. There are many examples of this in Vedic literature. The four Kumaras were situated first in the impersonal Brahman conception of truth, but then they gradually rose to the platform of devotional service. One who cannot elevate himself beyond the impersonal conception of Brahman runs the risk of falling down. In Srimad-Bhagavatam it is stated that although a person may rise to the stage of impersonal Brahman, without going further, with no information of the Supreme Person, his intelligence is not perfectly clear. Therefore, in spite of being raised to the Brahman platform, there is the chance of falling down if one is not engaged in the devotional service of the Lord. 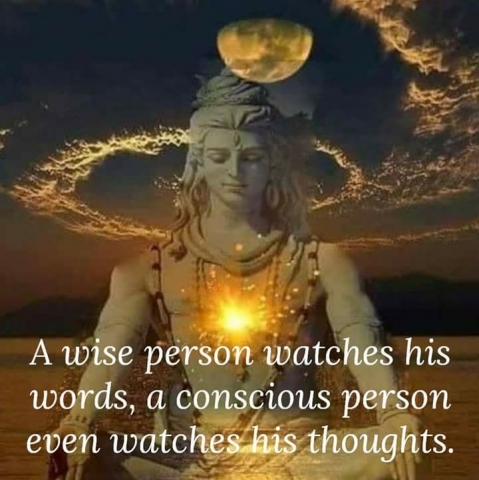 In the Vedic language it is also said, raso vai sah, rasam hy evayam labdhvanandi bhavati: "When one understands the Personality of Godhead, the reservoir of pleasure, Krishna, he actually becomes transcendentally blissful." (Taittiriya Upanishad 2.7.1) The Supreme Lord is full in six opulences, and when a devotee approaches Him there is an exchange of these six opulences. The servant of the king enjoys on an almost equal level with the king. And so eternal happiness, imperishable happiness, and eternal life accompany devotional service. Therefore, realization of Brahman, or eternity, or imperishability, is included in devotional service. This is already possessed by a person who is engaged in devotional service.